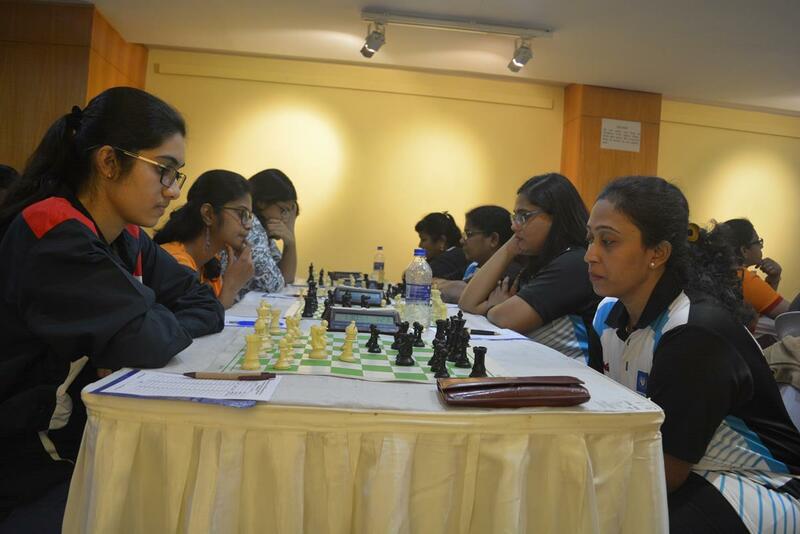 Kolkata (08 Feb 19) :- Six teams including top seeds Petroleum Sports Promotion Board and former champions Railways ‘A’ are sharing the lead with perfect scores at the end of third round matches of the ongoing 39th National Team Chess Championship here at Indian Council of Cultural Relations on Friday. 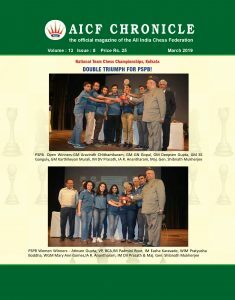 PSPB overcame Bengal Red with a narrow margin of 2½ – 1½ in a nail-biting encounter while second seed Airports Authority of India defeated Alekhine Chess Club ‘A’ 3½ – ½ and Railways ‘A’ got better off Odisha 3 – 1. 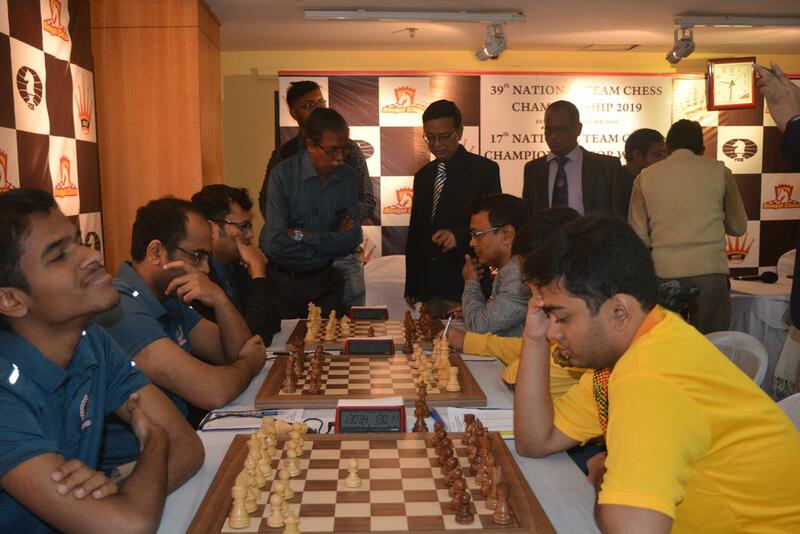 The top board battle between PSPB and Bengal Red went to the wire after Deep Sengupta opened the account for PSPB as Koustav Chatterjee did not turn up for the match on fourth board. 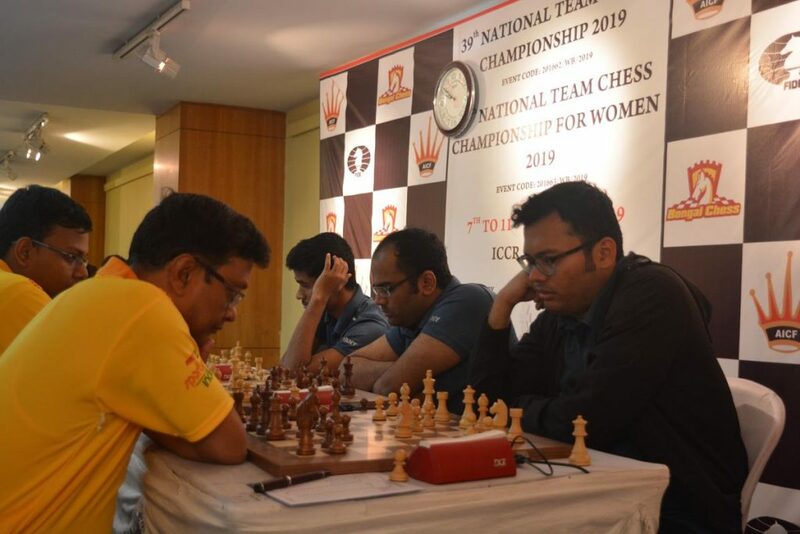 The second board encounter between Gopal G N and Mitrabha Guha ended without decisive result while Diptyan Ghosh scored an emphatic victory over Karthikeyan Murali to level the score for Bengal Red. 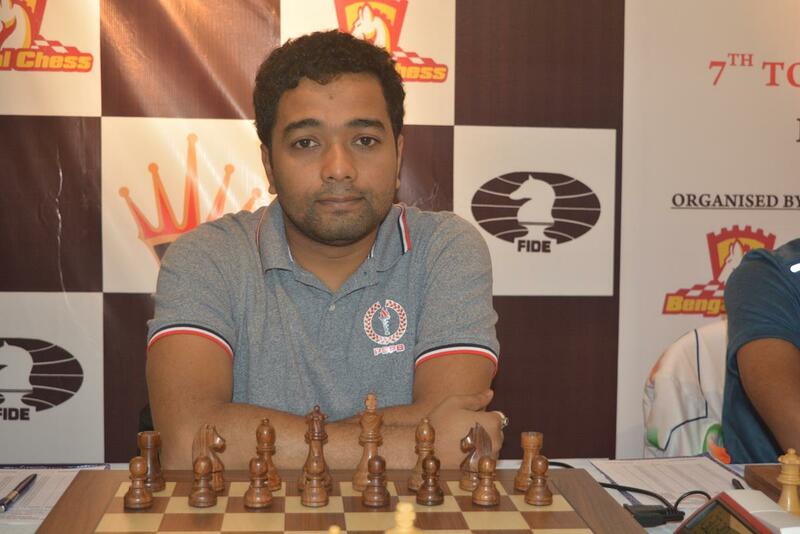 On board number one, seasoned campaigner, Surya Shekhar Ganguly overcame legendary Dibeyandu Barua in 54 moves to make the match in favour for the top seeds. Fourth seed Air India, Railways ‘B’ and Telangana are the other teams sharing the pole position with perfect score after beating LIC, Bengal Blue and Maharashtra ‘A’ respectively in the third round encounters. Meanwhile, in the women section, top seed PSPB, second seed Air India, third seed Airports Authority of India along Bihar are leading with perfect scores at the end of second round. PSPB defeated Bengal Tigresses and Air India beat Tamilnadu with an identical margin of 3½ – ½ while Airports Authority of India narrowly overcame LIC with a score line of 2½ – 1½. Bihar had an easy outing against Ranga Reddy District Juniors with all players producing decisive results in favour of Bihar. 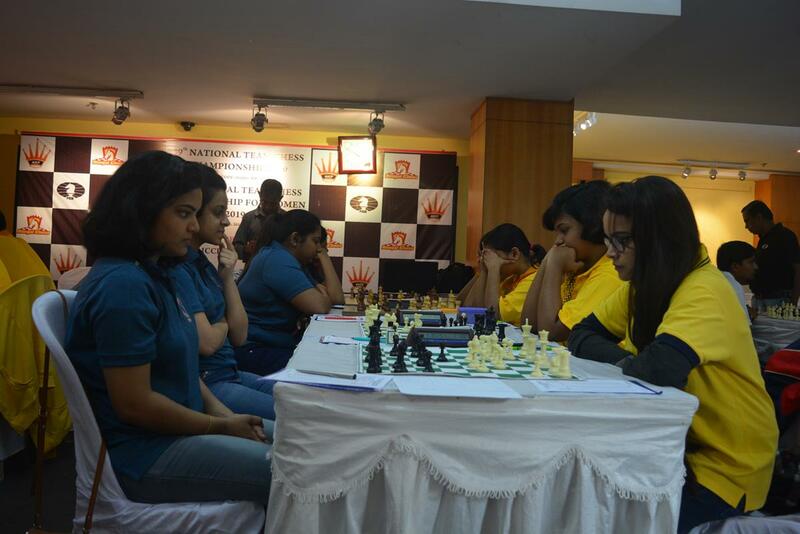 Earlier in the second round of open category, PSPB beat Maharashtra ‘A’ 4 – 0 while Airports Authority of India and Railways ‘A’ registered win over Tamilnadu and Alekhine Chess Club ‘B’ respectively. Round-3 (Open) :- PSPB (6) beat Bengal Red (4) 2½ – 1½ ; Alekhine Chess Club ‘A’ (4) lost to Airports Authority of India (6) ½ – 3½ ; Railways ‘A’ (6) beat Odisha (4) 3 – 1; LIC (4) lost to Air India (6) 1½ – 2½ ; Railways ‘B’ (6) beat Bengal Blue (4) 4 – 0; Telangana (6) beat Maharashtra ‘A’ (2) 3 -1; Tamilnadu (4) beat Uttar Pradesh (2) 2½ – 1½ ; Chess Dragons Kolkata (2) lost to Alekhine Chess Club ‘B’ (4) ½ – 3½; Madhya Pradesh (4) beat SSCB (2) 3 -1. Round-2 (Open) :- Maharashtra ‘A’ lost to PSPB; AAI beat Tamilnadu; Alekhine Chess Club ‘B’ lost to Railways ‘A’; Air India beat Madhya Pradesh; Pioneer Chess School lost to Railways ‘B’; Bengal Red beat Bihar ‘B’. 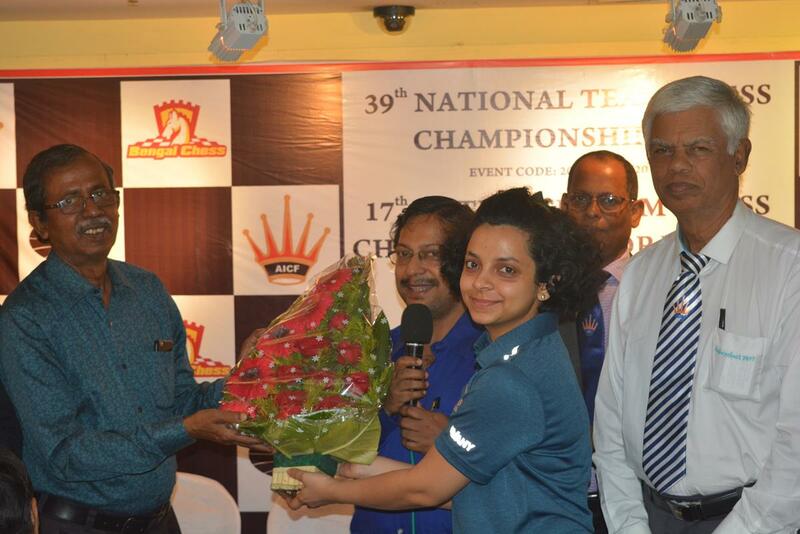 Round-2 (Women) :- PSPB (4) beat Bengal Tigresses (2) 3 ½ – ½ ; Tamilnadu (2) lost to Air India ½ – 3½ ; AAI (4) beat LIC (2) 2½ – 1½ ; Bihar (4) beat Ranga Reddy Dist Juniors (1) 4 -0; Maharashtra (0) lost to Rising Bengal (2) 0 – 4. Report by I.A Gopakumar S.